Full frame off Custom Build. 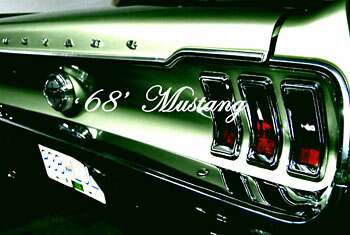 One piece rear quarter panels with shaved body lines and custom steel wide flares. Also had a shaved drip rail on the hardtop. Full metal repairs and Two-Toned paint. 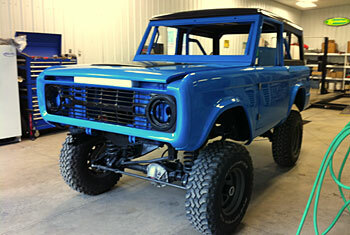 This 1968 classic has had a complete frame up restoration. Extensive Repairs included new LH floor pans, torque box, rear frame rail and left and right qtr panels. As well as new front fenders, aprons, shock towers and rad support. 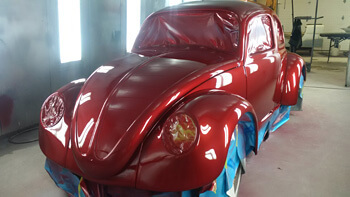 We also replaced rear tail light panel, headlight buckets, door skins and rocker panels. All new suspension and steering was installed. A new engine, rebuilt drive train, new interior and new paint completed this build. The owner of this 49 Ford wanted the old school hotrod look with a few minor upgrades like a one piece conversion to stock front fenders and a rear roll pan. 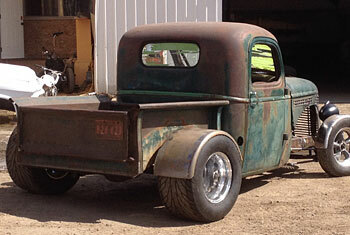 We rebuilt the doors, box sides and rear fenders. 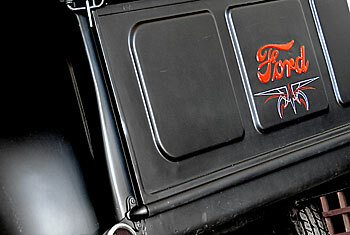 Fit in a one piece wood box floor and painted this truck flat black with red interior. For performance on the drag strip we added a 4-link suspension with coil overs and tubbed out the box to make room for 15’’ wide slicks. 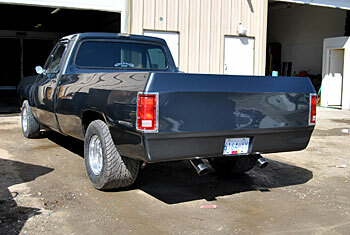 Next we custom fabricated a front and rear roll pan and shaved tailgate. Finished with a new fiber glass hood for lighter weight and painted Graphite Grey. Making this one sweet Dodge. 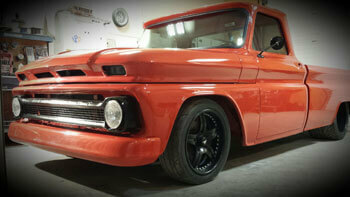 Restored 71 Chevy C-10 was fitted with new rocker panels, cab corners, floor boards and front fenders. The box was tubbed and an oak bed kit installed. 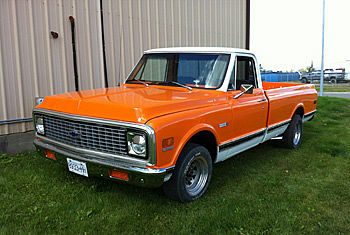 This truck was upgraded with a frame mounted underbed fuel tank and an "I Did It" steering column and refinished to factory OEM orange & white two-tone paint scheme.